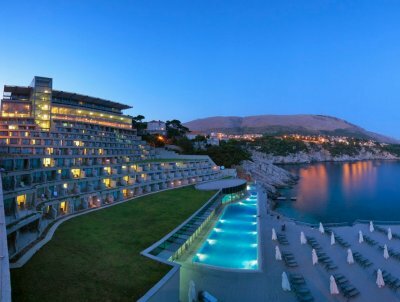 The conference will take place at the Royal Princess Hotel, Kardinala Stepinca 31, 20 000 Dubrovnik, Croatia. Dubrovnik is a city on the Adriatic Sea coast of Croatia, positioned at the terminal end of the Isthmus of Dubrovnik. It is one of the most prominent tourist destinations on the Adriatic, a seaport and the centre of Dubrovnik-Neretva county. The prosperity of the city of Dubrovnik has always been based on maritime trade. In the Middle Ages, as the Republic of Ragusa, also known as a Maritime Republic, it became the only eastern Adriatic city-state to rival Venice. Supported by its wealth and skilled diplomacy, the city achieved a high level of development, particularly during the 15th and 16th centuries. The beginning of tourism in Dubrovnik is often associated with the construction of the late 19th-century luxury hotels in Croatia, such as Grand Hotel (1890) in Opatija and the Hotel Imperial (1897) in Dubrovnik. According to CNNGo, Dubrovnik is among the 10 best medieval walled cities in the world and among the 10 best places in the world for a fairytale proposal of the Valentine's Day. Among the many tourist destinations are a few beaches. Banje, Dubrovnik's main public beach, is home to the Eastwest Beach Club. There is also Copacabana Beach, a stony beach on the Lapad peninsula, named after the popular beach in Rio de Janeiro. A feature of Dubrovnik is its walls that run almost 2 km (1.24 mi) around the city. The walls run from four to six metres thick on the landward side but are much thinner on the seaward side. The system of turrets and towers were intended to protect the vulnerable city.